Brito’s Luis Ruiz watches his first of two home runs fly out of the ballpark on Wednesday. The wind was blowing out at Princeton Christian School on Wednesday afternoon and the Brito Panthers took advantage, hitting four home runs in an 18-2 road win over Somerset Academy Charter. 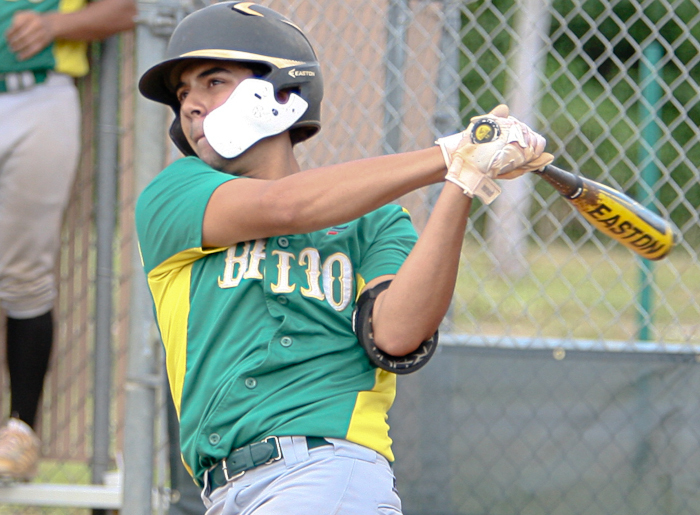 Luis Ruiz and Elvin Granado belted two homers each and lefty starter Juan Carbonell tossed a complete game to lift the Panthers to the non-district triumph. Ruiz swung at a couple of good ones on Wednesday, belting solo homers in the second and again in an eight-run sixth inning that shortened the game by the run-rule. His first homer was a line drive that just cleared the chest-high fence. He lofted his second homer into the stiff breeze that was blowing out from home plate. Granado took advantage of it as well, mashing his first two home runs of the season. The first one came in the opening frame and set the tone. 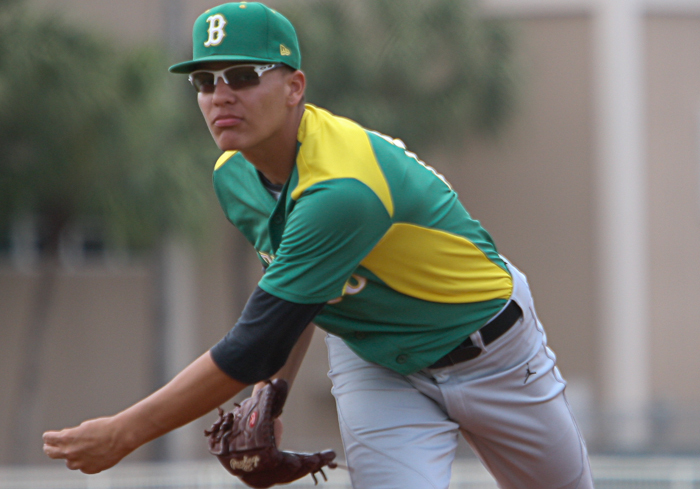 Brito pitcher Juan Carbonell threw a complete game on Wednesday to earn the win in an 18-2 triumph over Somerset Academy. And now that Granado has suddenly turned into a power hitter for the Panthers, is this a trend that he plans to continue? “Kind of is, I’m trying to look for the hits more, but if that comes out, even better,” he said. Angel Aquado, Juan Villadiego, and Alexis Dominguez also had multiple hit and RBI games for Brito. 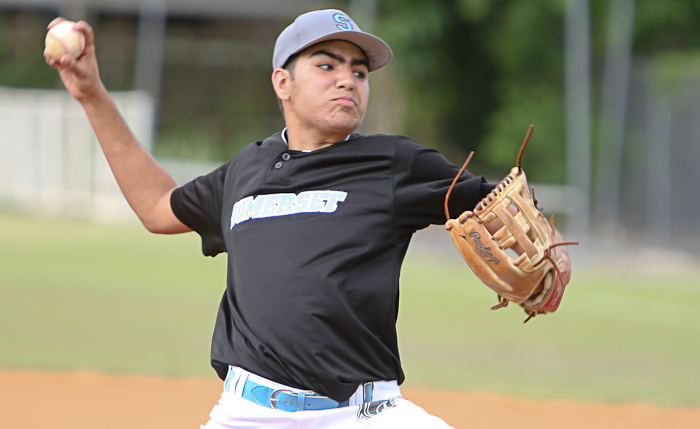 Somerset Academy starting pitcher Matthew Porras delivers a pitch in Wednesday’s game with Brito. Carbonell struck out eight in going the distance. His team put him in a rocking chair from the outset and Carbonell was able to cruise. It’s a close play at second base with Somerset Academy’s Max Colina applying the tag. Colina would later homer for the Stallions. Somerset Academy’s Max Colina also hit a home run, a sixth-inning solo blast. The sophomore scored both of the Stallions’ runs, coming home in the fourth inning on a single by Anthony Stinson. Colina had two of the Stallions’ eight hits.